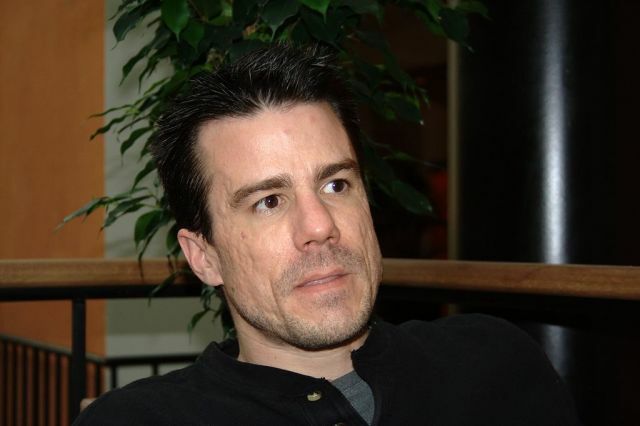 Founder of Debian Linux Ian Murdock was found dead at the age of 42 on the night of Monday, December 28, 2015. The circumstances of his death are unknown. Ian Murdock’s death was recently announced by Docker, an open-source project who Murdock was worked on. Aside from his time at Docker, Murdock will be best remembered for the creation of Debian, one of the first, and still one of the most popular distributions of the Linux operating system. 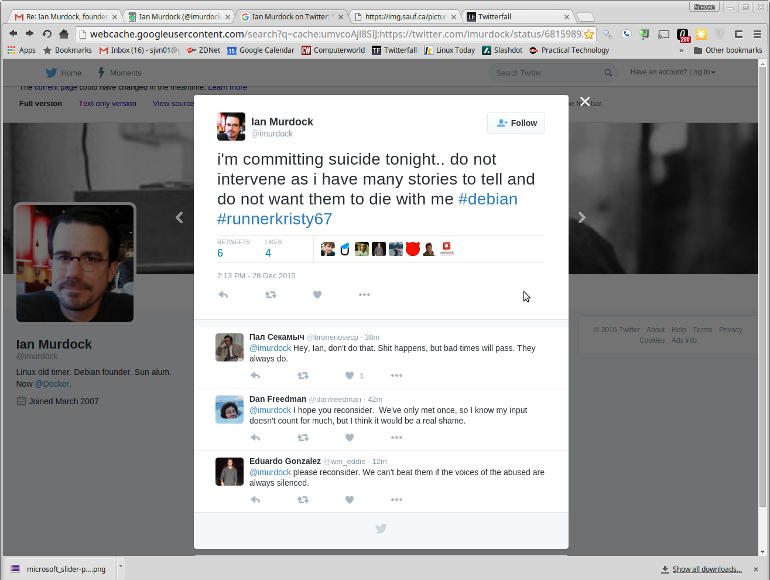 On the day of his death, Ian Murdock posted several bizarre tweets to his Twitter page. Followers speculated that his account fell victim to hackers. One of Murdock’s strange tweets indicated that he would commit suicide. His Twitter account has since been removed, but an archive of his tweets can be found in PDF form. Several tweets left by Ian Murdock inidcate that he may have had an altercation with police. The real nature of this confrontation is unknown, but public records show that Murdock was arrested and released on bail in San Francisco County on Dec. 27. There are also hints that had he not died, he would have devoted himself to combating the issue of police brutality, just as he championed open-source development. Ian Murdock had a history of fighting the system of greedy developers that released poorly maintained software for profit. Debian, founded in 1993, was designed to be a Linux distribution that would be continuously developed by an open community of developers. After Debian, Murdock continued to work with several tech startup companies, leaning towards companies that favored or practiced open-source development. His employment history shows that he was very passionate about open-source development and advancing the cause. At the time of this writing, the cause of Ian Murdock’s death remains a mystery. It is certain that he will be missed in the Linux and open-source communities where he was highly regarded. Ian Murdock is survived by his ex-wife, Deborah Lynn, and two children. Condolences can be sent via e-mail to in-memoriam-ian@debian.org.